Black Friday is edging closer, and while it’s a great opportunity to grab the latest and greatest gadgets, it’s also a fantastic chance to pick up some of the year’s best games at a discounted price. We’ve rounded up 5 of our favourite titles from the year (so far) which you should consider when those Black Friday price-slashes roll around. Hack ‘n slash fans that progressed through the original God of War trilogy probably won’t argue if we say that the first three games were heavy on the enjoyable action gameplay, but a little bit light on story. 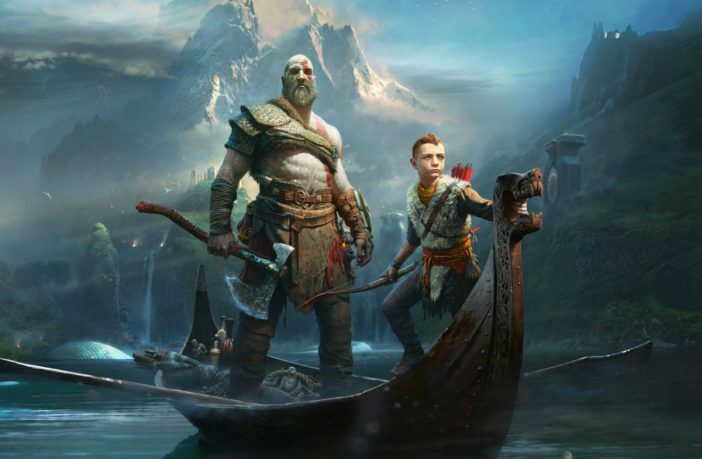 God of War’s 2018 reimagining of Kratos inserted into Norse rather than Greek mythology remedies that problem brilliantly, creating an exemplary story between father and son, perfectly melded into the gory and smooth hack ‘n slash action that the franchise became renowned for in its previous entries. Although Marvel’s Spider-Man hasn’t been out for all that long, it’s one of the best games of 2018 and a must-buy for any Spidey fan. Spider-Man manages to break the bad superhero genre curse admirably, combining the best of past Spidey games’ platforming and world-traversing mechanics with a layered combat system, engaging story, and well-fleshed out narrative. Although there are some minor faults, Spider-Man is the best superhero game since the Arkham series – and hopefully it won’t be the last. Monster Hunter: World dials back the inaccessible difficulty and extreme tedium of the previous titles to more manageable levels, and in doing so gives players a more enjoyable gameplay style to take on impressively designed creatures in varied environments, also allowing them to team up with friends for those tougher opponents. Although the difficulty may deter some, it’s one of the reasons the Monster Hunter franchise is so rewarding, and definitely isn’t an experience that can be matched by many games out there. Also, you can take an anthropomorphic cat-buddy on all your adventures – surely that alone makes it worth it. The latest entry into Ubisoft’s beloved stab-’em-up franchise takes us back to ancient Greece during 431 BC, following the story of two characters, either Alexios or Kassandra. It’s more of what we’ve come to expect from the series, and rests heavily on what last year’s Assassin’s Creed Origins set-up, rather than breaking the mould or returning to the AC games of old. That’s not a bad thing though, as the game is massive, combat is fluid, it’s breathtaking beautiful, and there is an interesting story to explore; but take note that Odyssey is extremely RPG-focused and can be overwhelming for those used to ‘simpler’ Assassin’s Creed games. It’s brilliant, but give it a try before diving in head-first. Shadow of the Tomb Raider isn’t just another addition to the Tomb Raider library of jungle-exploring adventures – it’s a much-needed progression for the character and gameplay mechanics that remind us of why we love this franchise so much, while throwing in some exciting new elements and putting a focus of narrative and story, resulting in one of the best Tomb Raider games to date.